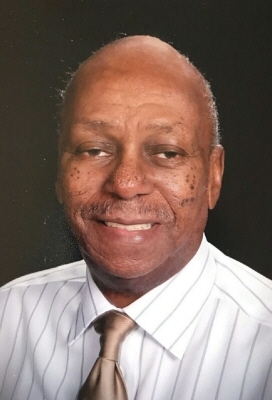 Ernest Nelson Love, 77, passed away on Wednesday, April 3rd, 2019. He was born May 6, 1941 in Georgia. He obtained his Bachelor’s Degree from Florida A&M University, after which time he served his country honorably in the Army branch of the armed forces. He went on to earn his Master’s Degree from The University Of Cincinnati. He loved to read, write, and listen to music. He was active in his church and taught Sunday School for many years. He retired from a long career working in corporate America and as a civilian for the US government. He is survived by his wife, Doretha Emerson Love; his children, Nelson Love, Jeffri (Robyn) Love, and Dorian (David) Beecroft; his grandchildren, Nadia and Silas: his aunt, Elizabeth Davis; and cousins Blossie Edwards, Geneva Alexander, Roscoe Crawford, Anthony Davis, and Gregory (Abigail) Crawford. He is preceded in death by his mother, step-father, and grandmother. The celebration of his homegoing will be held at 9 AM on Friday, April 12th, at Clark Legacy Center-Brannon Crossing, 601 E. Brannon Road, Nicholasville, KY 40356. Burial will take place at Camp Nelson National Cemetery at 11 AM in NIcholasville following the homegoing service. In lieu of flowers, the family asks that donations be sent in his name to honor the people who cared for him respectfully in his final days at: Carolyn’s House, 1701 Linglestown Road, Harrisburg, PA 17110. To send flowers or a remembrance gift to the family of Ernest Nelson Love, please visit our Tribute Store. "Email Address" would like to share the life celebration of Ernest Nelson Love. Click on the "link" to go to share a favorite memory or leave a condolence message for the family.